White is the traditional colour associated with weddings so if you’re looking to have an elegant white wedding, then you’ve come to the right place as Aberdeen flowers have a beautiful whites collection. First and foremost when selecting wedding flowers, you must ensure your flowers are of premium quality as this is very important. At Aberdeen flowers, the florists only work with the best of the best as all of our flowers are cultivated in Holland then directly imported to our shop. Holland, the western region of the Netherlands, is renowned for cultivating some of the finest flowers in the whole world which is why we can confidently say that from us, you won’t receive anything short of perfection. You are able to browse online through our elegant whites collection to get a general taste for the sort of work our talented Aberdeen florists are able to produce. You can also see what sort of flowers are used in the elegant whites collection from beautiful calla lilies to traditional white roses to charming tulips and cymbidium orchids as well as many other flowers. Our talented florists in Aberdeen have had many years of experience in the floristry industry and with that comes a lot of experience when it comes to wedding flowers. We understand that every wedding is unique which is why everything we do for weddings is unique to you. With all our orders, we tailor everything specifically to you and your tastes and your visions as flowers are very personal. For any further information please do not hesitate to get in touch with us. You are able to contact Aberdeen flowers either by phone or email as there is aways a member of our team readily available to answer any and all of your questions. When it comes to wedding flowers, we highly recommend booking a consultation as there is simply so much to discuss from colour schemes to what should be avoided, what should be included, floral designs and so on. If there’s nothing which fully catches your eye from our website, don’t worry as we offer the bespoke service. This service gives you full control over your order as you tell us exactly what you want and. Once we have all the details and know exactly what it is you’re after, you don’t have to worry about a single thing when it comes to your flowers as we’ll take care of everything for you. Whether you need corsages for your bridesmaids or buttonholes for your groomsmen, whether you need petals for the flower girl or arrangements for the venue, whether you need floral centre pieces or a bridal bouquet. No matter what it is you’re after, Aberdeen flowers and the entire team here will do everything within our power to ensure the flowers you receive from us are nothing short of perfection. On the day, our delivery drivers will deliver all of your flowers to your desired address. They understand just how fragile flowers can be which is why when on the road, they are always efficient but careful to ensure that nothing gets damaged along the way. Our number one priority has and will continue to always be total customer satisfaction which is why we will always aim to provide you with everything you have always wanted. We understand that a wedding between two individuals is one of the most important days of your lives which is why you will receive the flowers you have always wanted from us for your wedding day. The stunning peaches range consists of warm tones of peaches, creams and oranges so if you’re looking for something a little different to the traditional white of weddings, then Aberdeen flowers is perfect for you. The team here wants nothing more other than to provide breathtaking arrangements and floral designs for such a colossal event. With this in mind, we aim to provide all customers with a diverse variety of colour schemes, flowers and designs so no matter what it is you’re after, we will do our absolute best to fulfil all of your requests. You are able to browse through our wedding flower collections which includes not only the likes of the stunning peaches range but other collections such as the passionate reds and engaging purples. With over forty years of experience in the floristry business, the team at Aberdeen flowers have provided floral work for countless weddings. Each wedding is unique as we know just how different tastes in flowers are so even if our stunning peaches collection isn’t fully to your liking, we are still able to tailor the designs to your taste. This is part of the bespoke service we have on offer which enables you to either tweak certain elements of a pre-existing arrangement or you can start completely anew. By working in collaboration with the Aberdeen florists, you can create completely unique arrangements as you can specify what flowers you would like, what flowers are to be avoided at all costs, colour preferences and what sort of designs you’re after. Once we have all the details, you can be rest assured in the knowledge that we’ll arrange something which fully encompasses all of your ideas. Aberdeen flowers want nothing more other than to help you have the wedding day you have always dreamt of. You are able to have a browse through the stunning peaches collection online to get a taste of the sort of work the Aberdeen flowers provide. The stunning peaches range includes flowers such as gentle peonies, vibrant gerberas, gorgeous calla lilies and a variety of roses in a variety of colours to name a few. All the flowers our florists in Aberdeen work with have been directly imported from Holland, which is the western region of the Netherlands. This region of the Netherlands has gained worldwide acclaim for cultivating some of the finest flowers in the world and we can wholeheartedly attest to this. We receive multiple deliveries per week to ensure our flowers are always as fresh as possible and of the finest quality, ready to be used in your arrangements and bouquets. When it comes to wedding flowers, we like to plan some time in advance which is why we highly recommend booking a consultation. A consultation gives you the chance to have a one on one chat with the florist who will be coordinating your wedding flowers, a chance to have a flick through our in store portfolio and to ensure the team here know exactly what it is you’re after. When it comes to wedding flowers, we have so many different floral designs from bridal bouquets to buttonholes and everything else in between. For further information regarding any of the services we provide or to book a consultation, please do not hesitate to get in touch. You are able to contact us either by phone or email as there is always a member of our team readily available to answer any and all of your questions. When it comes to planning a wedding, there is a lot to take into account from catering to the venue to the seating plan and everything in between, so it can sometimes be a little overwhelming. However when it comes to your wedding flowers, you need not worry as we at Aberdeen flowers will take care of everything for you. Aberdeen flowers have over forty years of experience in the floristry industry so when it comes to your arrangements, we know a thing or two. First and foremost, when it comes to choosing wedding flowers, you must ensure the quality of the flowers is of premium standard. We receive over four deliveries per week from our suppliers in Holland, the western region of the Netherlands. Dutch flowers have gained worldwide acclaim for being some of the finest which means that our flowers are also of extremely good quality. Once you are positive the quality of the flowers you will be provided with is nothing short of perfection, you must decide what sort of flowers you are after. We at Aberdeen flowers always do our absolute best to accommodate to all the needs and requirements you could possibly have as we want nothing more other than to provide you with the floral work you have always wanted for your big day. When it comes to wedding flowers, we always recommend booking a consultation as this allows you to do a number of different things. A wedding consultation allows you to have a one on one chat with the florist who will be coordinating your flowers, you can have a browse through our in-store wedding portfolio and it also ensures that we know exactly what it is you’re after. To book your consultation, please do not hesitate to get in touch with us. You are able to get in touch either by phone or email as there is always someone readily available to answer any queries you might have. If you are a guest at a wedding and are looking for flowers to wear, then you’ve come to the right place as we at Aberdeen flowers also have a gorgeous selection of wearable flowers. You are able to browse through our different wedding collections from our enchanting pastels to passionate reds to see if there is a corsage or a buttonhole that might suit your needs. If there’s nothing up on our website that tickles your fancy, don’t worry as we offer the bespoke service. This service allows you to tell our talented florists in Aberdeen exactly what you’re after and we will bend over backwards to fulfil all of your requests. On the other hand, if you’re not entirely certain what you’re after, you can leave your order to the florist’s choice. All of our Aberdeen florists have artistic backgrounds so you can be sure you’ll receive something unique and beautiful from us. 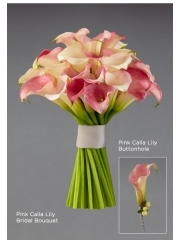 We have several different wearable flower options including buttonholes as well as corsages of different styles. We are able to create lovely wrist or dress or bag corsages depending on what it is you’re after. Our florists in Aberdeen want nothing more other than to provide you with beautiful flowers no matter what your occasion. You are able to collect your wearable flower from our shop or have your flowers delivered. We offer several different delivery services as we understand it’s not always possible to deliver flowers yourself. We even have a same day flower delivery service in operation so you can have your flowers delivered on the very same day you place your order. Please note however, if you wish to use the same day flower delivery service, your order must be with us by 3PM in order to give our florists in Aberdeen enough time to arrange everything for you. The wedding day between two people is an incredibly colossal day for not only the two individuals marrying but for the friends and family which why everything must be perfect. From catering to music to venue to the seating arrangements, there is simply so much to plan and organise which is where Aberdeen flowers step in. We will take care of all the floral aspects of your wedding so you don’t have to worry about a single thing regarding the flowers and are able to focus on other planning elements. We want to assure you that our flowers are nothing short of perfection as they are cultivated and then imported directly to our shop from Holland. Holland, which is the western region of the Netherlands, is known to cultivate some of the finest flowers in the world and we can wholeheartedly agree with this statement as our flowers are always fresh and beautiful, ready to be moulded and arranged into gorgeous floral designs. We receive several deliveries per week to ensure our flowers are always fresh which also means they have a high longevity and will stay looking beautiful throughout the entirety of your wedding day. You are able to have a browse online to see what sort of wedding flowers we provide as well as get a general feel for the standard of work the florists in Aberdeen are able to produce. 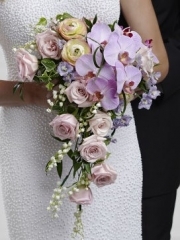 When it comes to wedding flowers, we always recommend booking a consultation. For further information regarding our wedding flowers or to book a consultation, please do not hesitate to get in touch. You’re able to contact the team here at Aberdeen flowers either by email or phone as there is always someone readily available to answer any and all of your questions. A consultation allows you to have a one on one chat with the florist who will be coordinating your wedding flowers. You can exchange ideas, have a browse through our in store wedding portfolio and it also ensures we at Aberdeen flowers know exactly what it is you’re after. Each wedding is unique and flowers are one contributing factor which can set your wedding aside from the next. Once you have selected your flowers and colour schemes, there are also floral designs to consider. For example, would you like the bridesmaids to wear dress corsages or wrist corsages? Will the groomsmen have buttonholes and if so, will their buttonholes match their bridesmaid? Will the bride have a complimentary or contrasting bridal bouquet and will the bride also have wearable flowers such as veil decorations? The flower girl needs beautiful petals to scatter down the aisle. Once the guests are thought of, what about the venue and reception? We have beautiful table arrangements and other designs on offer for weddings which, again, you can discuss during your consultation. On the day of the wedding, we will deliver your wedding flowers. Our delivery drivers understand just how delicate flowers can be which is why they are always careful and efficient on the road to prevent any damage from befalling on your wedding flowers. We understand just how important a wedding day truly is and with out forty years of experience, we want you to know that your orders are in capable hands. Our expert Aberdeen florists have catered for many weddings before and value how unique each wedding is. We always try our absolute best to fulfil all your requests no matter how big or small they might be as customer satisfaction is our number one priority.